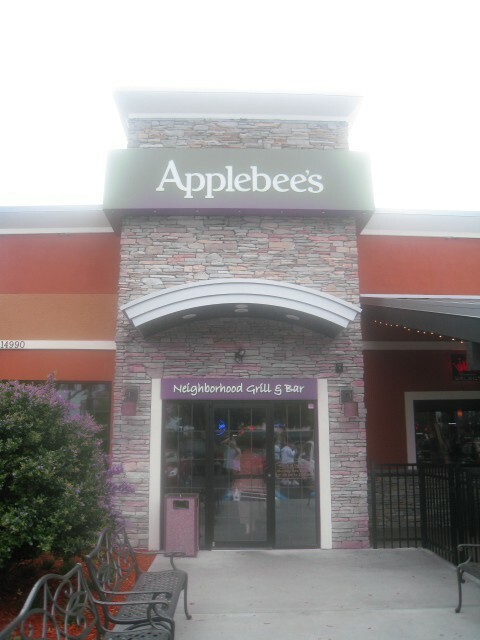 Whilst we were delighted when Applebee’s at Berry Centre opened near our villa a couple of years ago we were thrilled when another branch opened on our doorstep at Orange Lakes Shopping Centre. 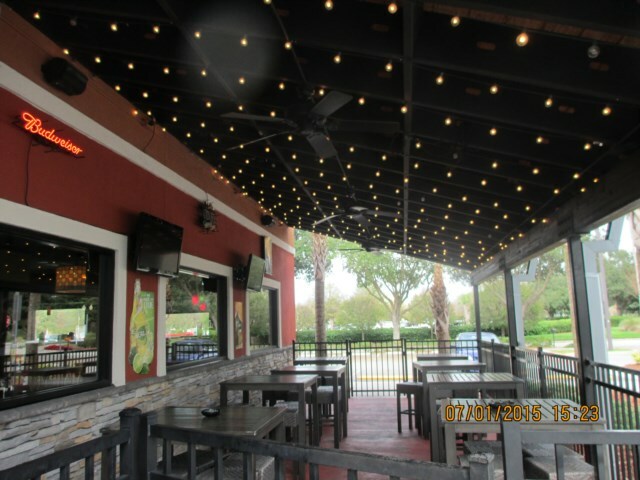 There had been a lot of speculation about what was being built near the site of the Publix Supermarket and lots of visitors were pleased when one of the restaurants was Applebee’s and the other Miller’s Ale House. 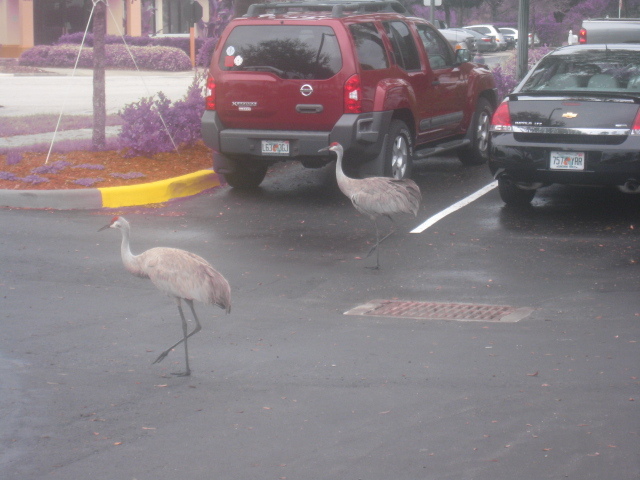 On our first visit one rainy lunchtime we were surprised to see a couple of birds strolling without concern for humans or cars through Applebee’s car park! 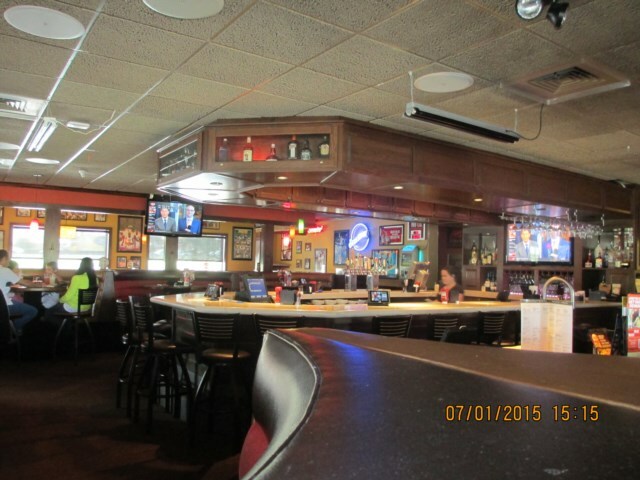 This Applebee’s gets very busy and there is a good sized waiting area with seats outside although this often gets full at peak times. If you prefer to eat at your villa either inside or around the pool there is a special “To Go” window. 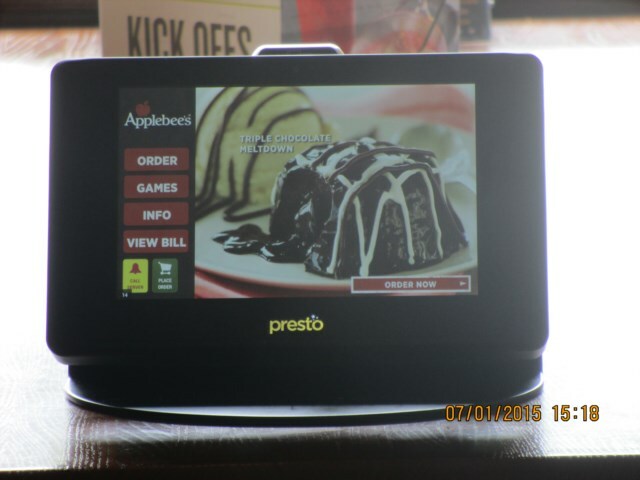 You can phone your order ahead and recently when I went on Applebee’s website I noticed some outlets let you order online. 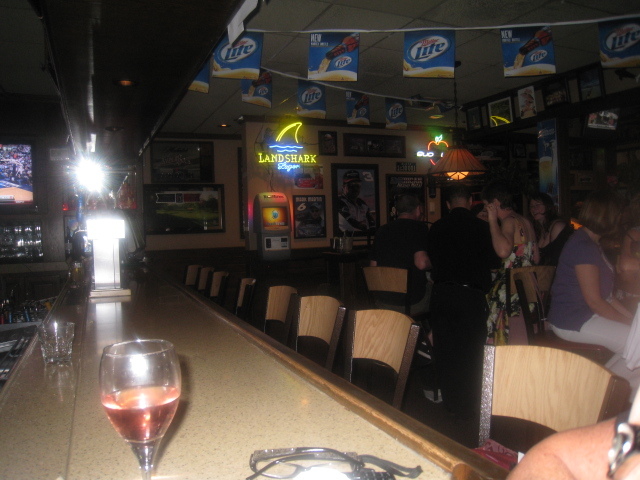 If you go to most restaurants in Orlando and there are only two of you at busy times it is often better to opt to eat at the bar as it is usually relatively easy to get seats here. 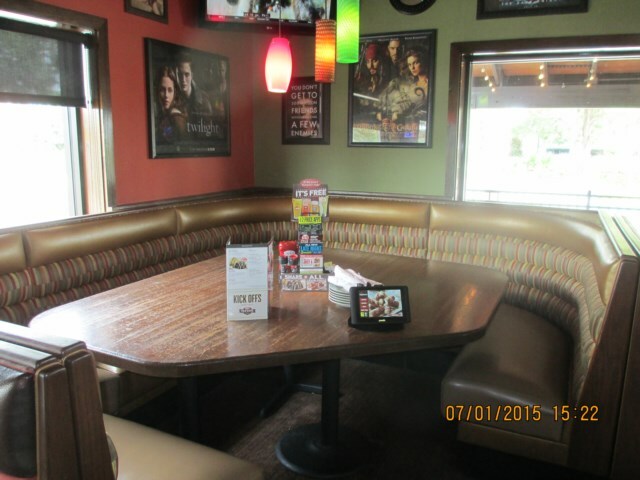 If you go to Applebee’s at lunchtime during the week their 2 for $20 option is well worth considering. You get a choice of a starter to share and each of you gets an entrée. 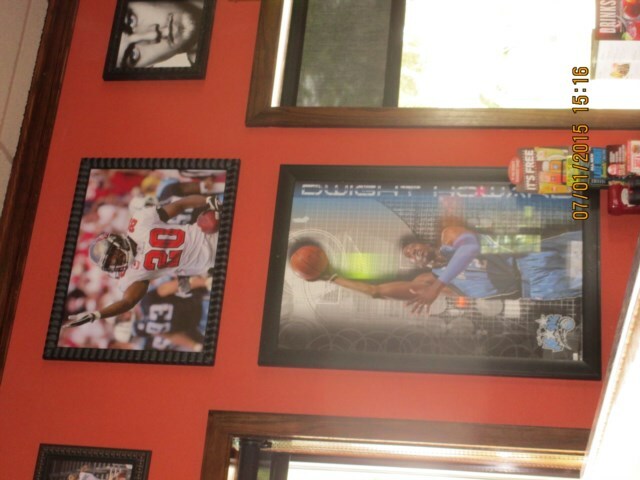 Over the last few years we have shared starters of Onion Rings, Mozzarella Sticks, Wings and Spinach and Artichoke Dip all of which were delicious. If just the 2 of us go for lunch I usually have the 7oz Sirloin (which I believe you can upgrade to 9oz if you pay extra) for my entrée and my Mother loves the Oriental Chicken Salad. The Ultimate Trios are good value if you really don’t want a big meal you can choose 3 items from a selection for about $13. There are plenty of Pasta dishes on offer amongst our favourites are Cajun Shrimp and 3 Cheese Chicken Pizza. 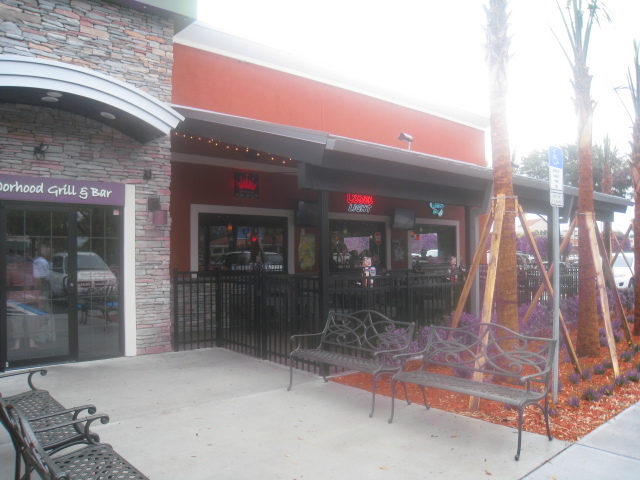 Last time we went to the Orange Lake branch we were in “Burger mode” and there is a good selection to choose from. 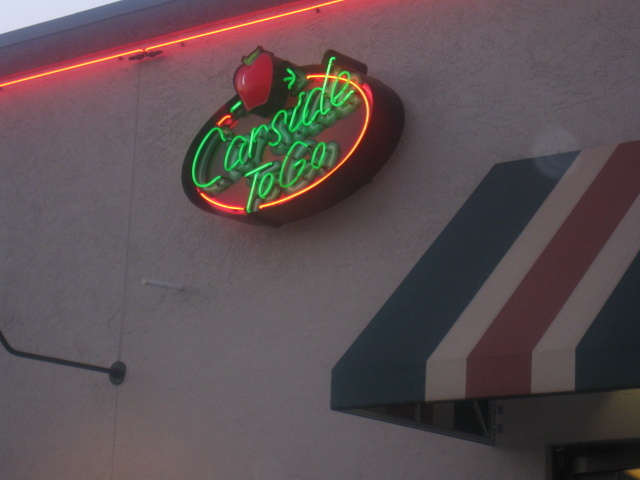 I had the Quesadilla Burger which came in a cheddar quesadilla, I could eat one now! 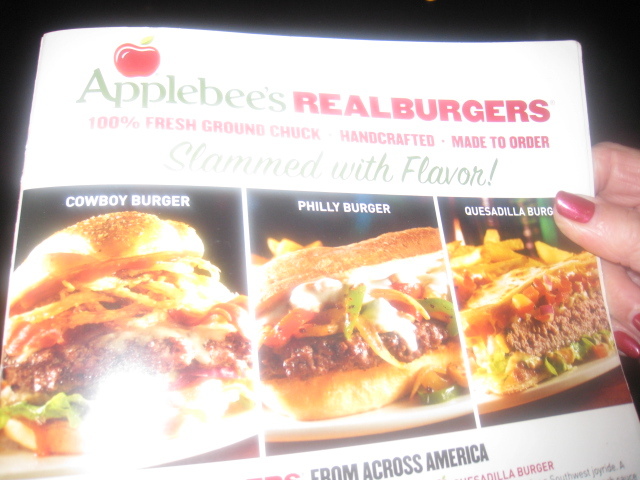 My Father likes spice so he enjoyed the Jalapeno burger whilst my Mother had the Philly burger which comes with onions and mushrooms and a cheese sauce. The girls opted for their usual Bacon Cheddar burger and all our meals were served with fries. 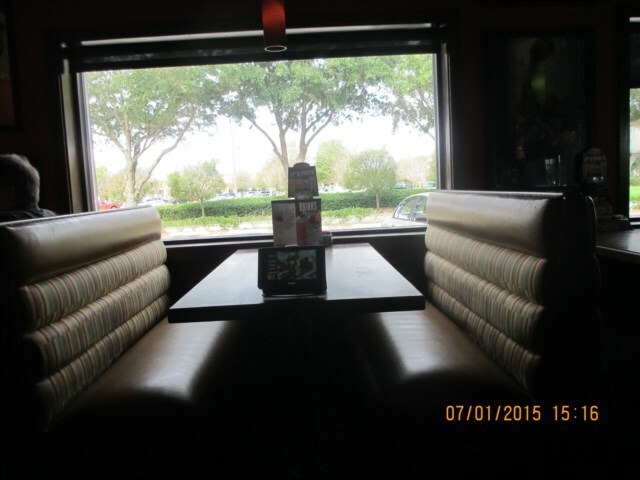 If you are in the area or you are passing Orange Lake and want to eat do try the new Applebee’s you will not be disappointed.